Several varieties of pet food sold nationwide have been recalled after some lots tested positive for salmonella, the Food and Drug Administration reports. Bravo brand turkey and chicken dog and cat food products sold since last November were recalled after Nebraska officials tested samples and found salmonella, the FDA said. The company said a third-party testing lab had previously cleared the products prior to distribution. The recalled pet foods are from a high-end line known as "raw diet," and must be kept refrigerated or frozen. Symptoms of salmonella infection include nausea, vomiting, diarrhea, abdominal cramping and fever. More serious ailments can develop, the FDA said. Pets suffering from a salmonella infection may be lethargic and suffer from appetite loss. 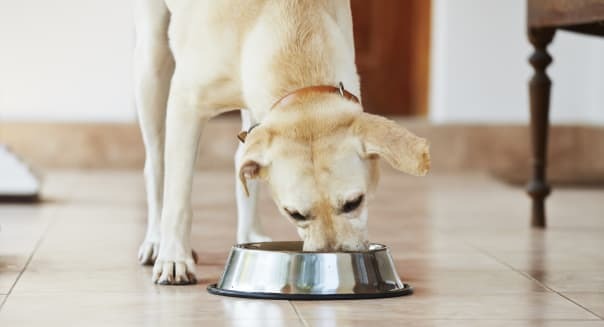 Owners are also at risk: Humans can get sick from handling salmonella-contaminated food, especially if they fail to thoroughly wash their hands after touching the food or surfaces the food was in contact with. In addition, Bravo is voluntarily recalling all sizes (2 lb., 5 lb. and 10 lb.) of Bravo Chicken Blend(s), Bravo Turkey Blend(s), Bravo Balance Chicken Balance and Bravo Balance Premium Turkey Formula frozen raw diet products with "best used by" dates between June 20, 2016 and Sept. 18, 2016. The company says it's doing that out of "an abundance of caution," as there has been no evidence of an issue involving those products. If you have purchased any of the recalled items, do not feed it to your pets. They can be returned to the store where they were purchased, or you can download a refund claim form from Bravo's website. If you have questions about the recall, you can call Bravo at (866) 922-9222, weekdays between 9 a.m. and 5 p.m. (EDT).